My Name is Gaurav Vashisth. 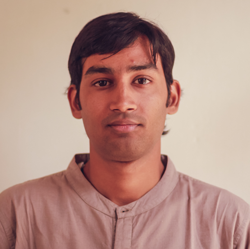 I am a mobile software engineer working at fueled and living in New Delhi, India. I build things which are used by millions of humans from the tips of their fingers. I have worked on developing android applications such as Quizup, Afterlight, B&N College, Ribbon and most recently Walc app among many others. In my free time in office I also made android wear watchface from a concept designed by wonderful designers at fueled Clocked. When I am not programming, I am mostly reading non fiction, watching news from my couch or wandering in himalayas. You can find me on Twitter, GitHub, Instagram, and Medium. CC 2015 Gaurav Vashisth. View Source.